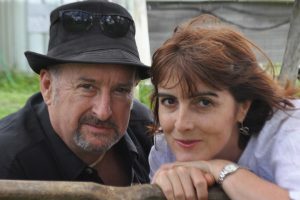 Some could say it is foolish to think playing music is the most important goal in life – but this is the passion that drives Peter Hisco and Wendy Jackson, recent and welcome additions to the Cobargo music scene. Sometimes it seems foolish to try and play too many instruments at one gig -but being sensible can be boring. With sublime vocals that blend seamlessly and extensive instrumental skills on an array of stringed instruments – guitar, double bass, fiddle, mandolin, banjo and ukulele – the Passionate Fools will lift you up and warm your soul with music inspired by a broad range of styles from swing to blues to bluegrass.